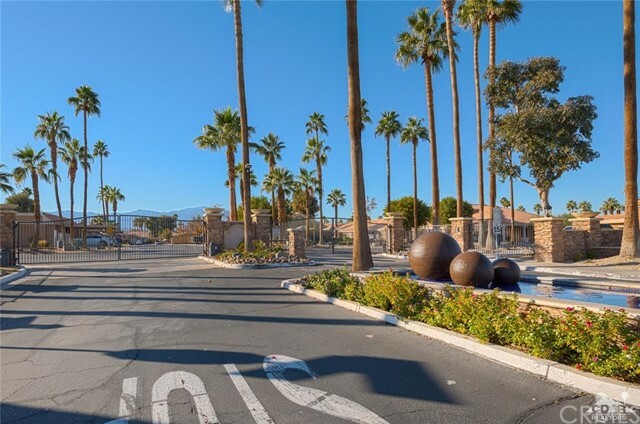 Royal Palms Complex. 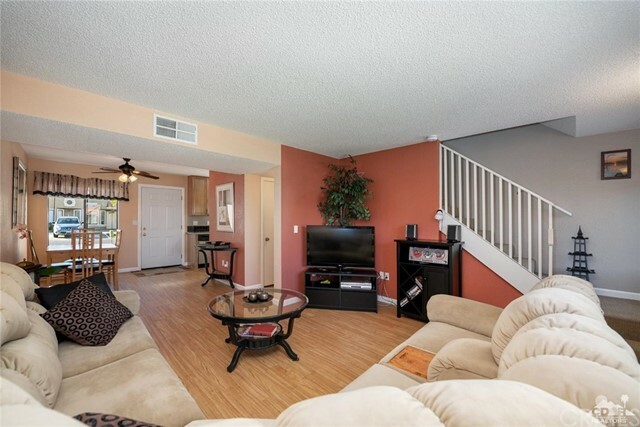 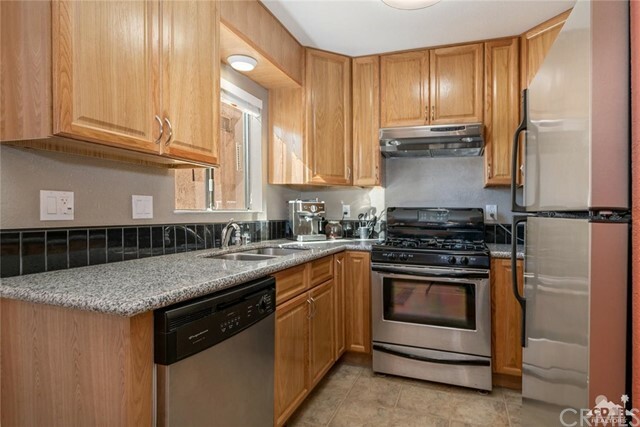 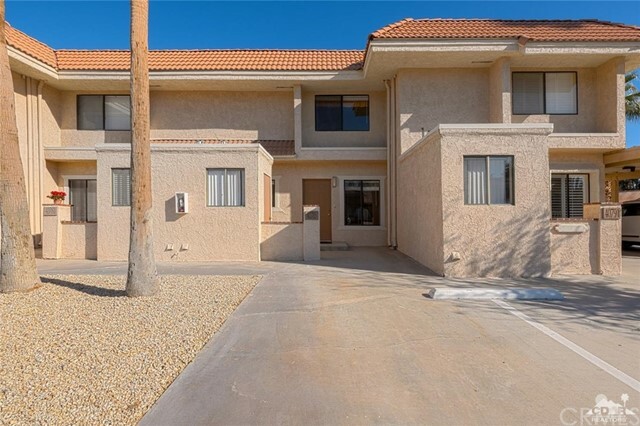 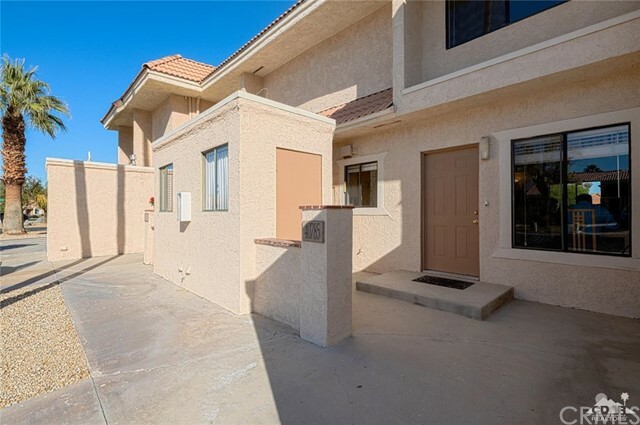 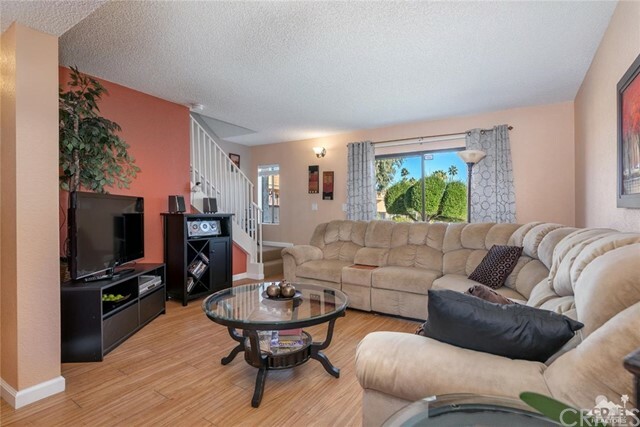 2 Story Townhome with 2 Bedroom 1 Full bath and 1/2 bath. 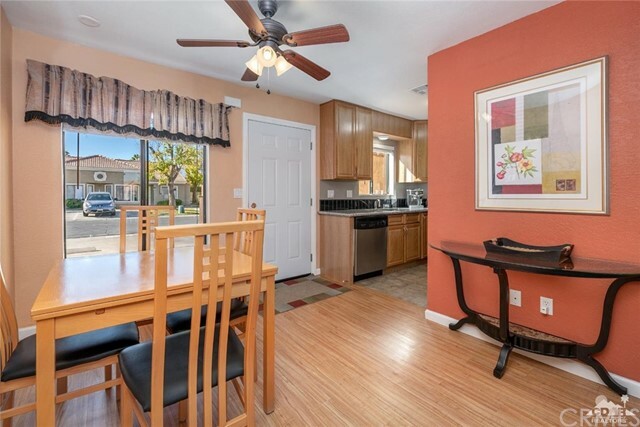 First floor open floor plan Dinning room and family room, Kitchen with granite counter top and stainless steal appliances. 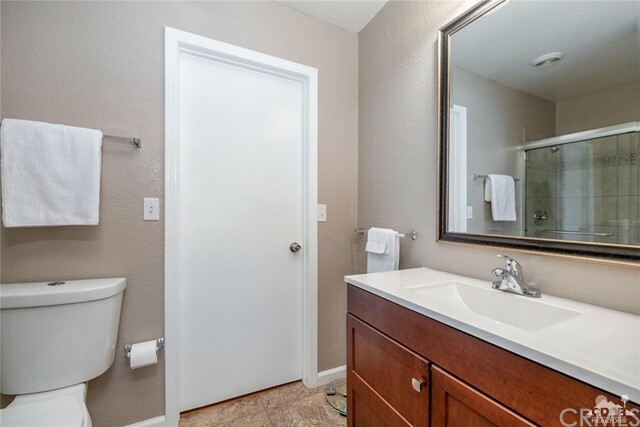 Remodeled 1/2 bath on the main floor. 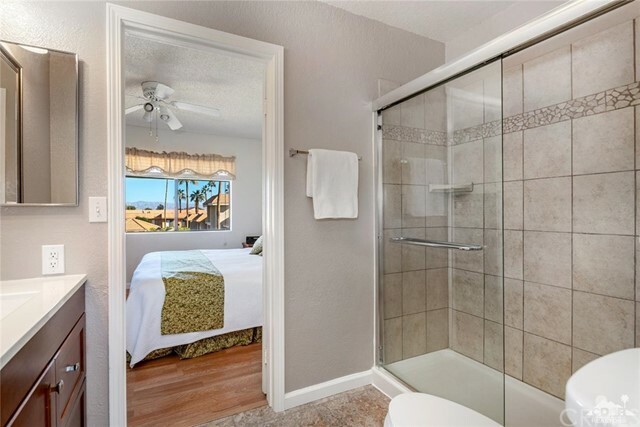 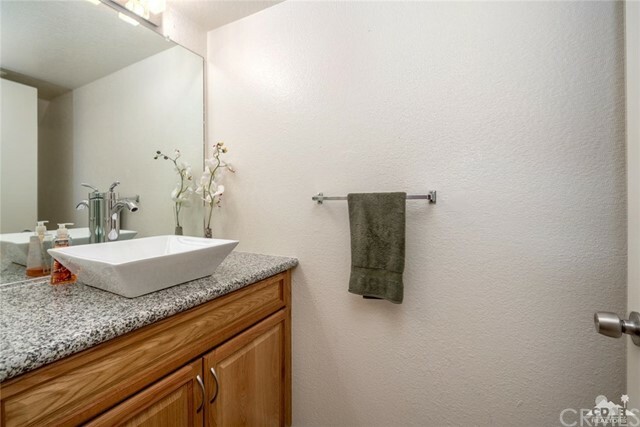 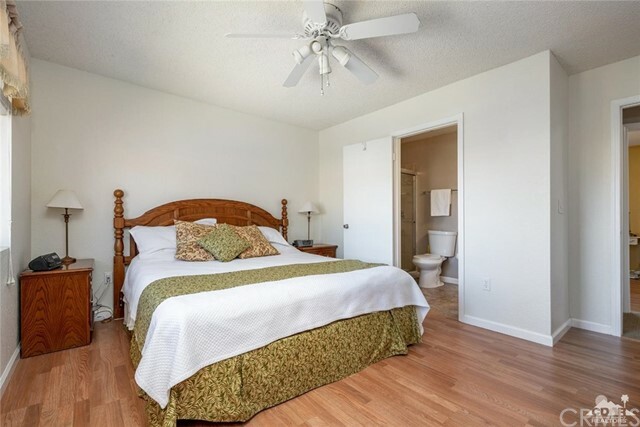 2nd floor has 2 bedrooms and full bath remodeled with tile on shower walls. 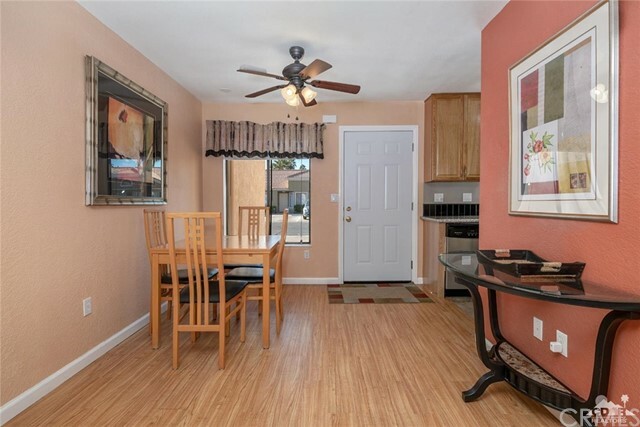 Laminate Floor through out the house,Carpet on Stairs and tile floor in Kitchen and Bathrooms. 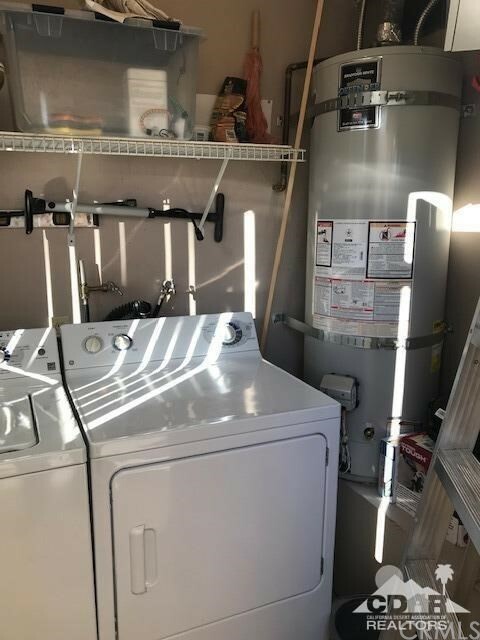 HVAC replaced about 2016 & Water Heater about 2015. 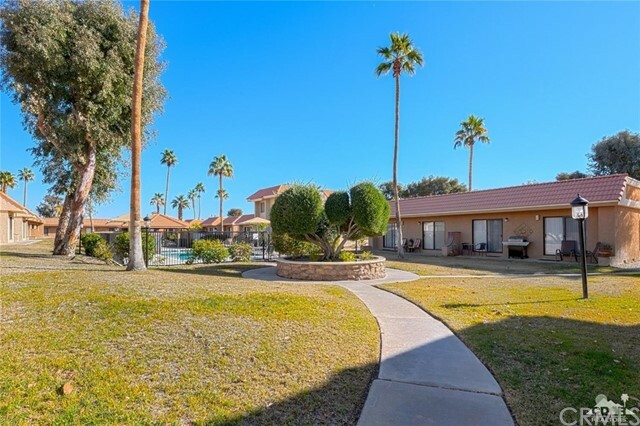 Nice back yard view to green belt and pool area. 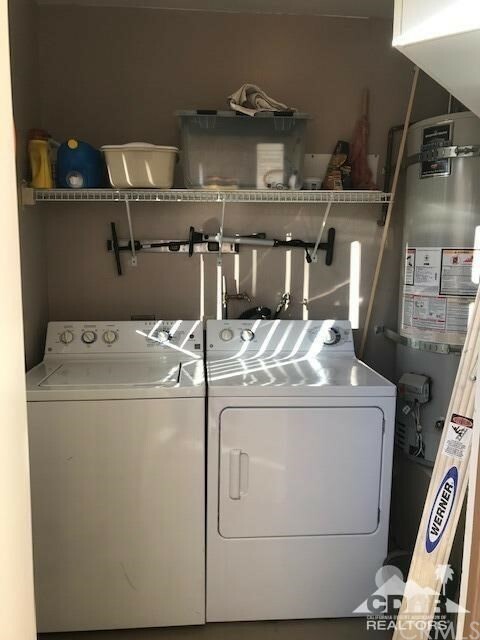 Laundry is in a separate room outside the unit. 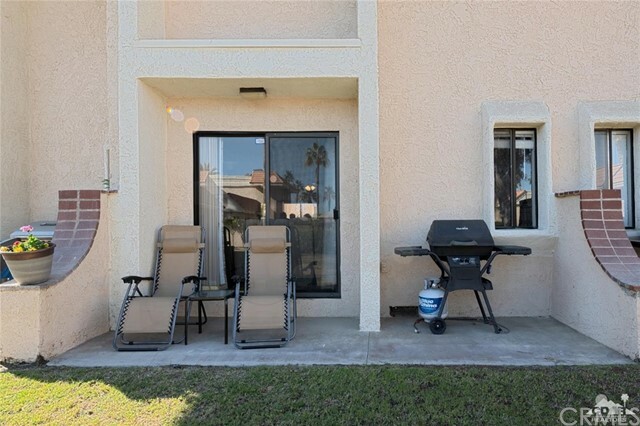 1 Carport and 1 open space belongs to the unit. 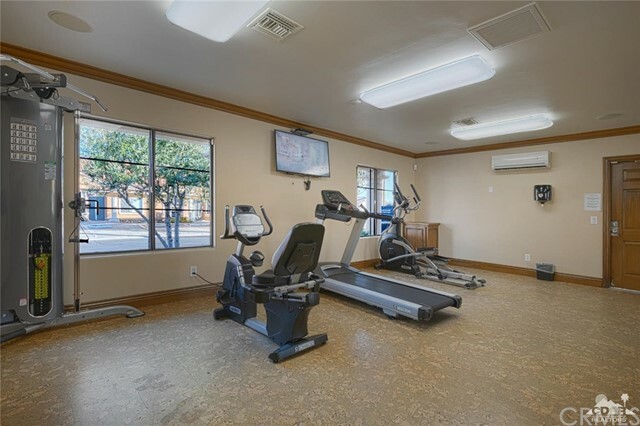 Guest parking is available. 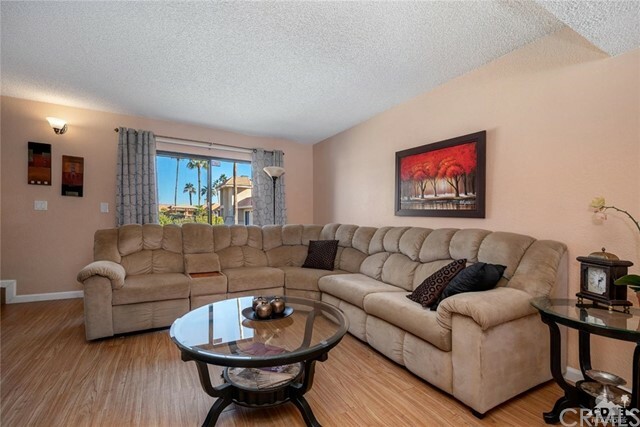 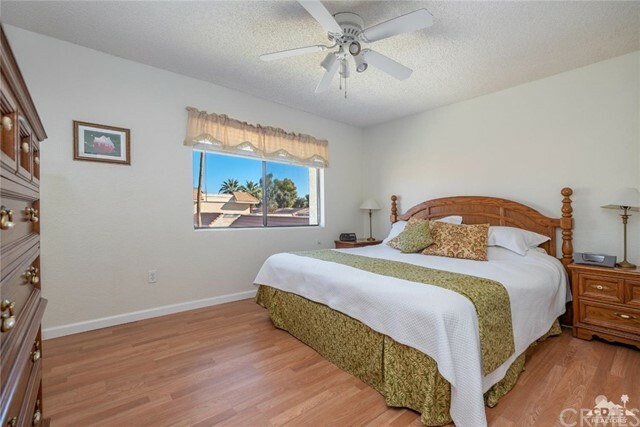 2 community pools and Clubhouse with gym facility/ BBQ area to enjoy this great Royal Palm gated community. 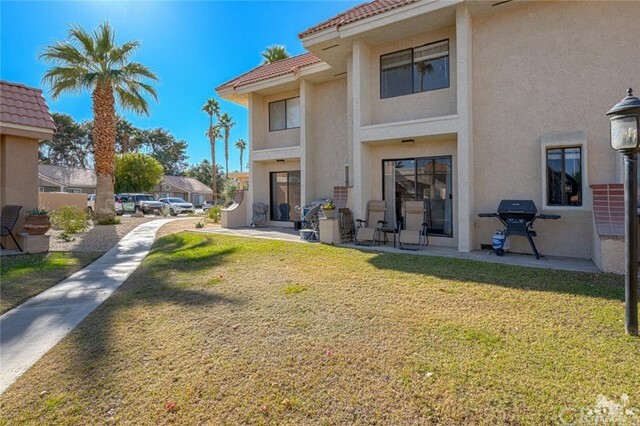 HOA fee includes Water, Trash, Pools,GYM and gated community. 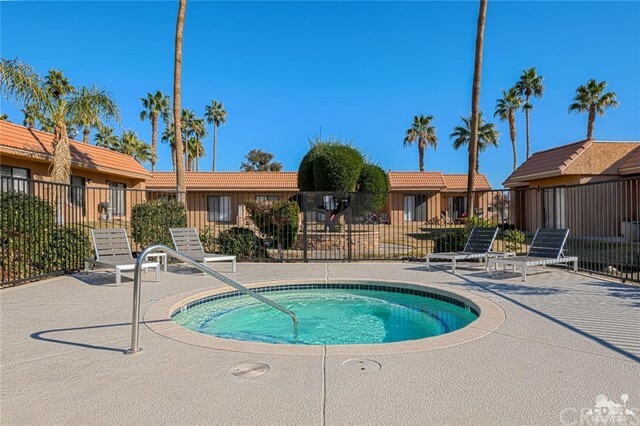 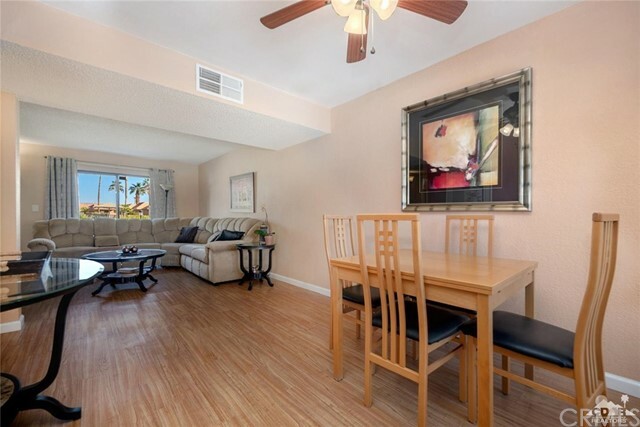 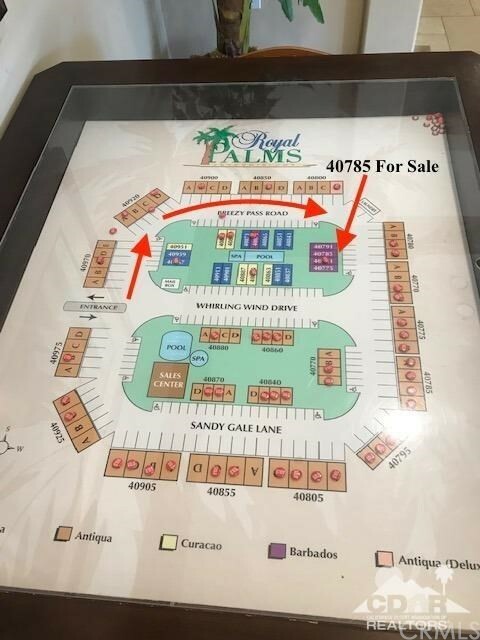 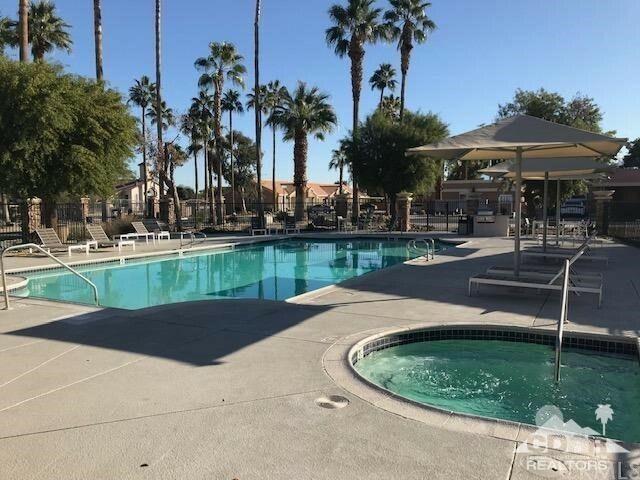 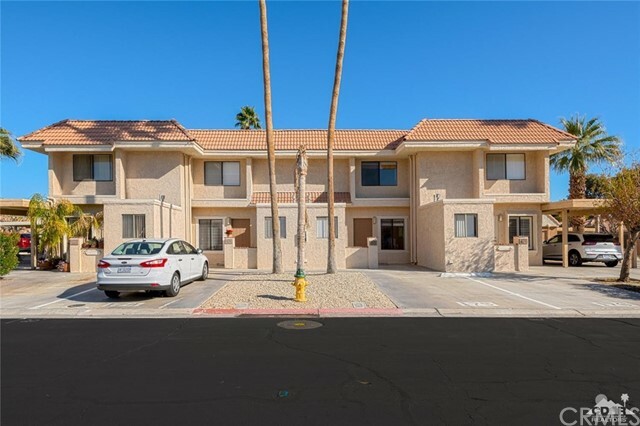 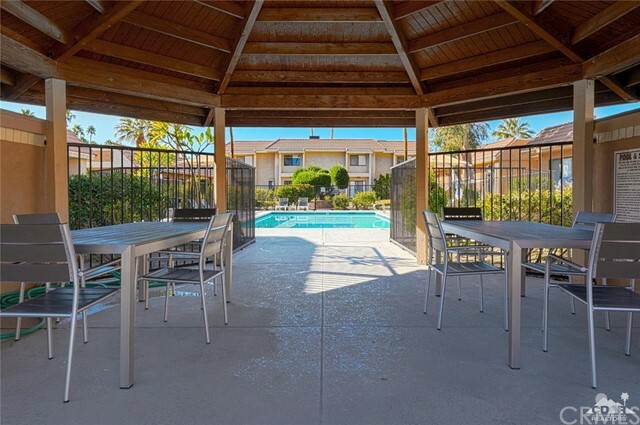 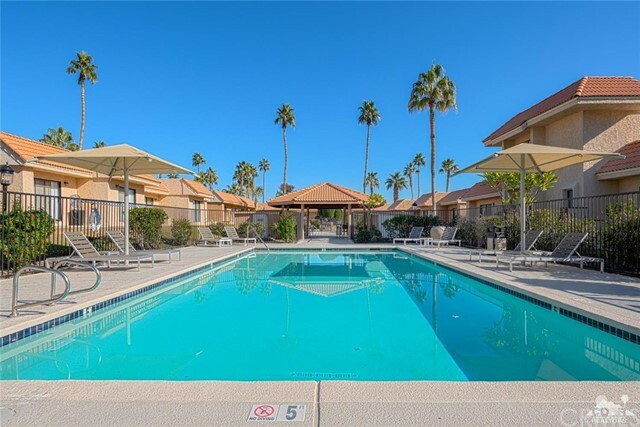 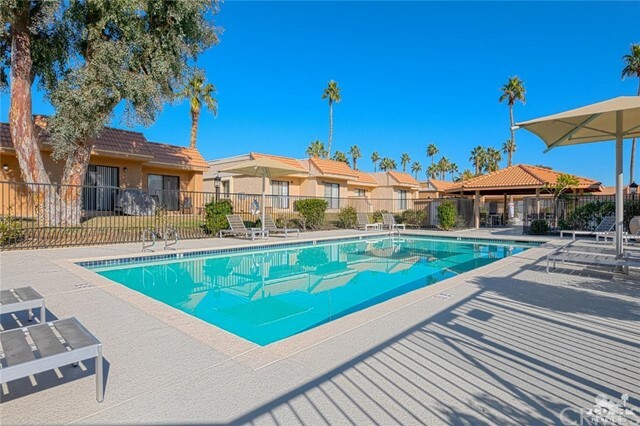 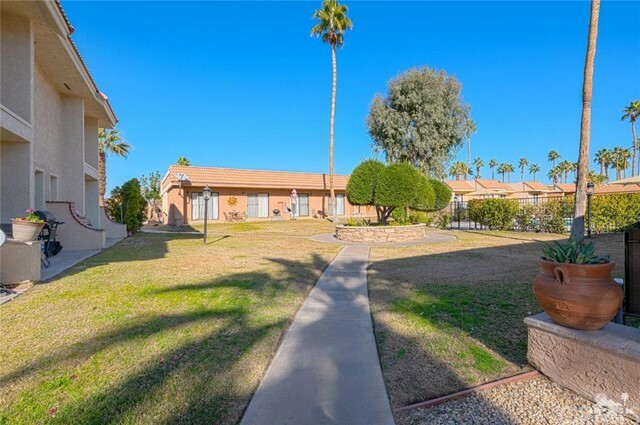 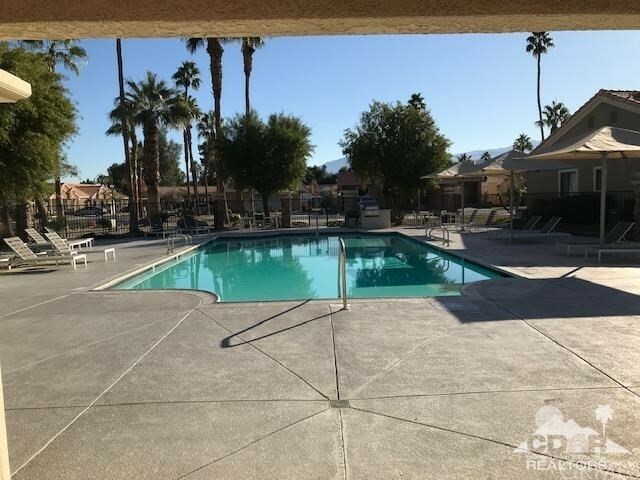 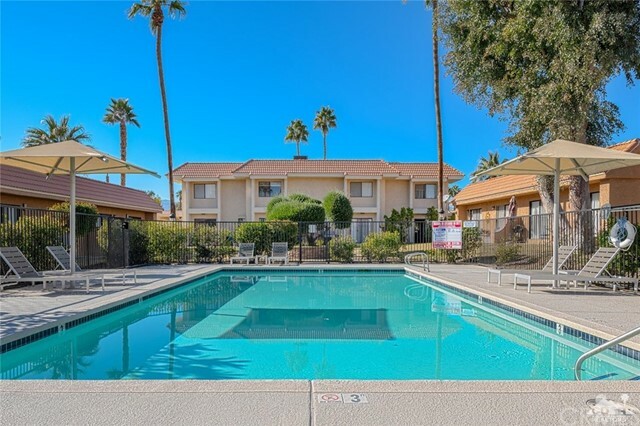 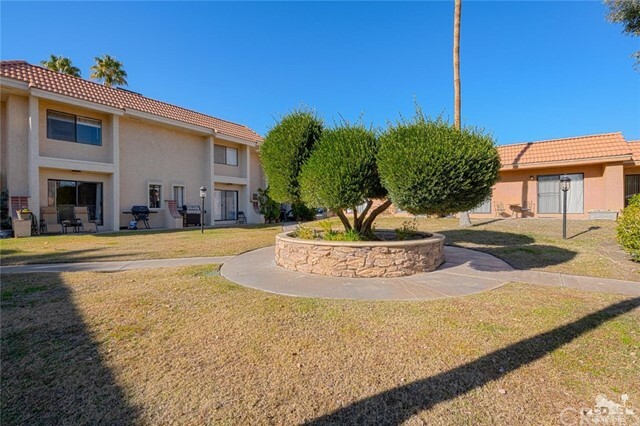 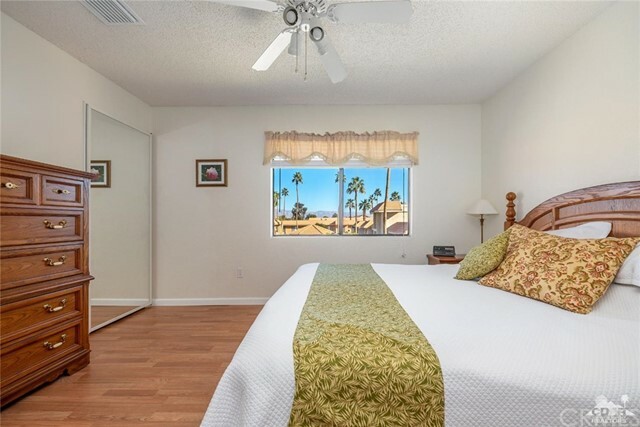 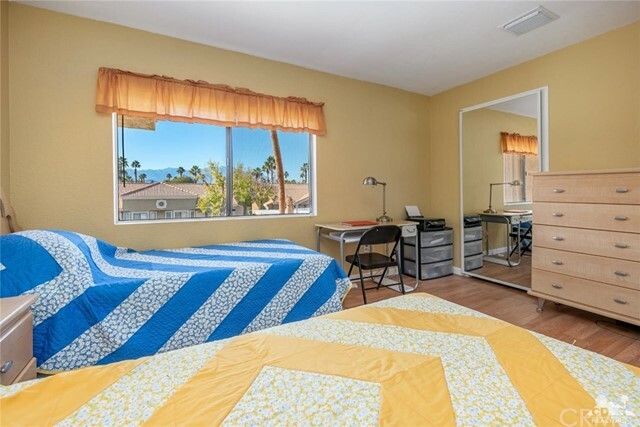 This Complex is very close to all Coachella Valley Festivals, Rancho Mirage and Palm Springs Festivities. 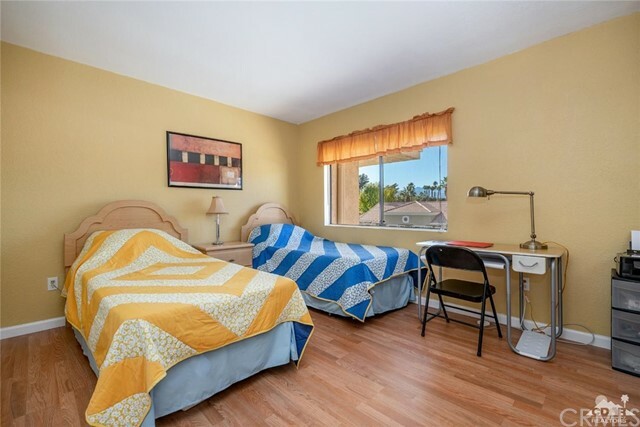 Close to Shops, Hwy 10, and Hospitals.